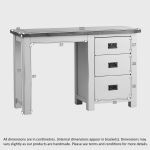 Matching other bedroom pieces in the Kemble range, this appealing dressing table will be good for organising jewellery and effects. 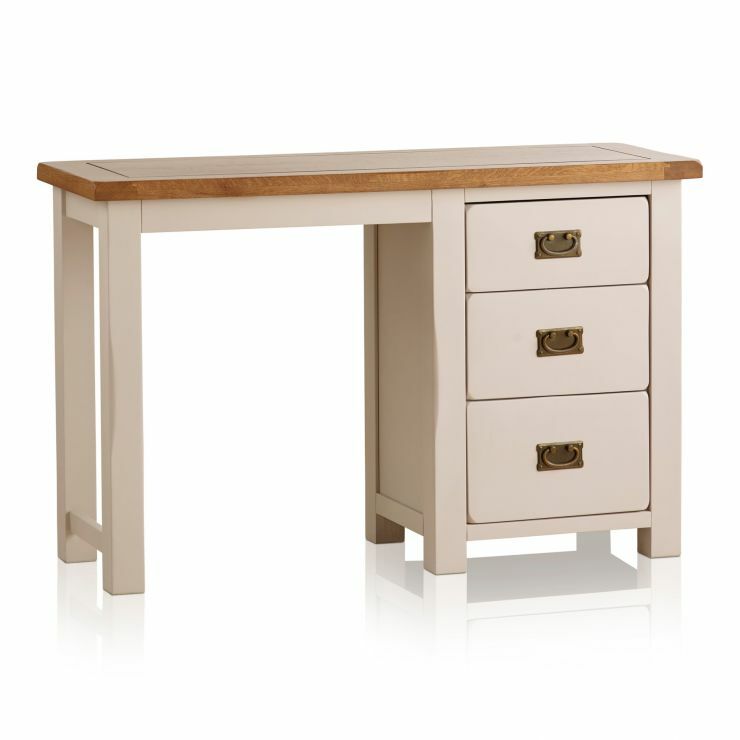 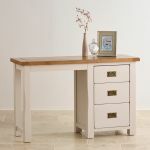 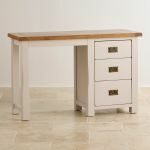 The charming rustic solid oak top complements the painted 100% solid hardwood body in a putty shade with lavender undertones, creating a lovely dressing table for any bedroom. 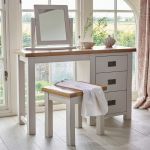 Also, have a look at the Kemble Dressing Table Mirror and Dressing Stool, which have been designed to fit with the dressing table.